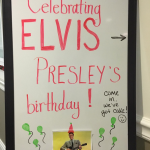 Surprise Birthday Celebration for the King of Rock & Roll! 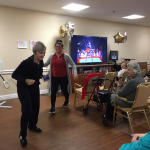 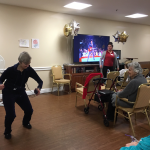 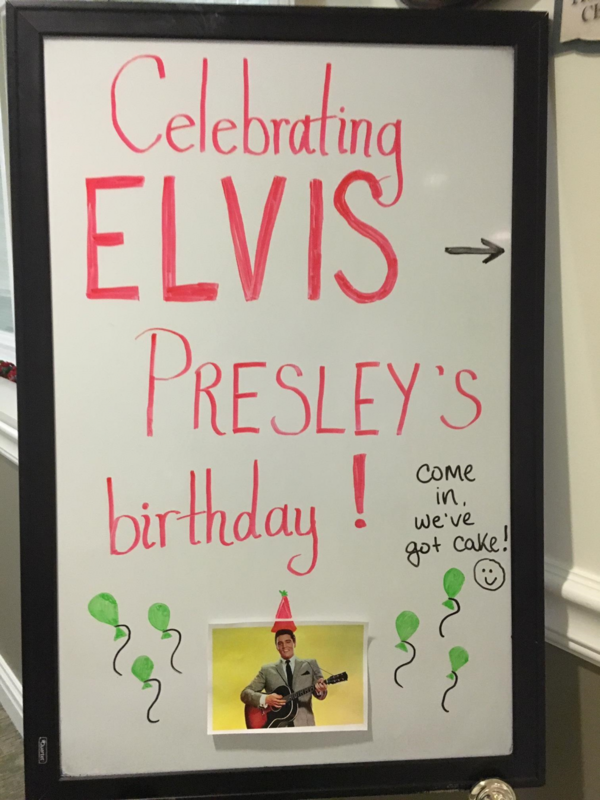 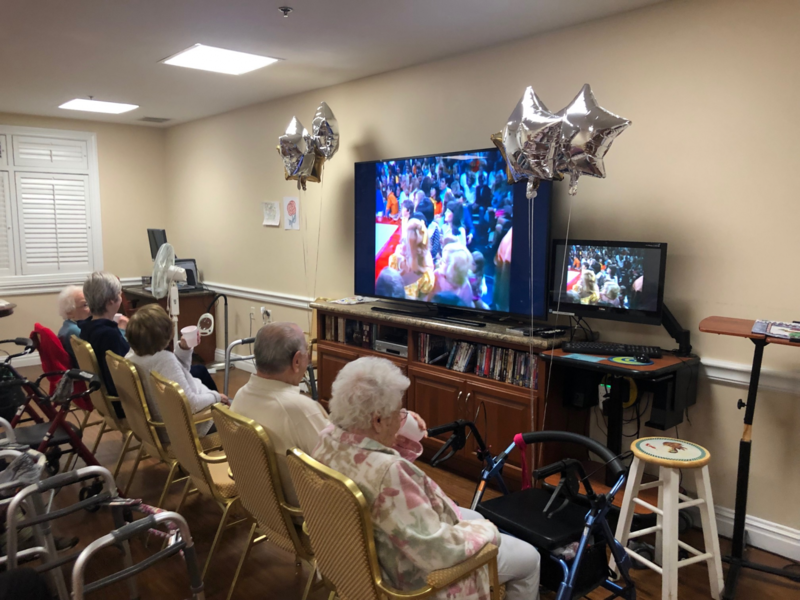 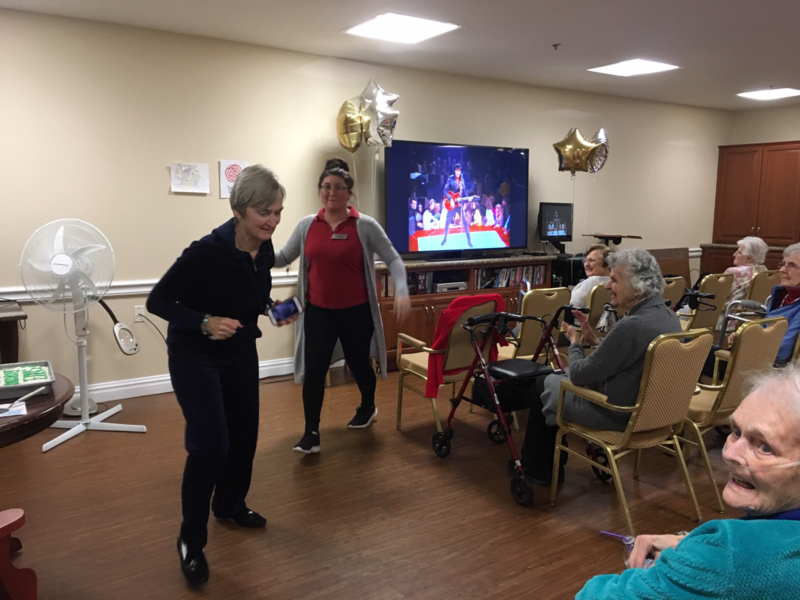 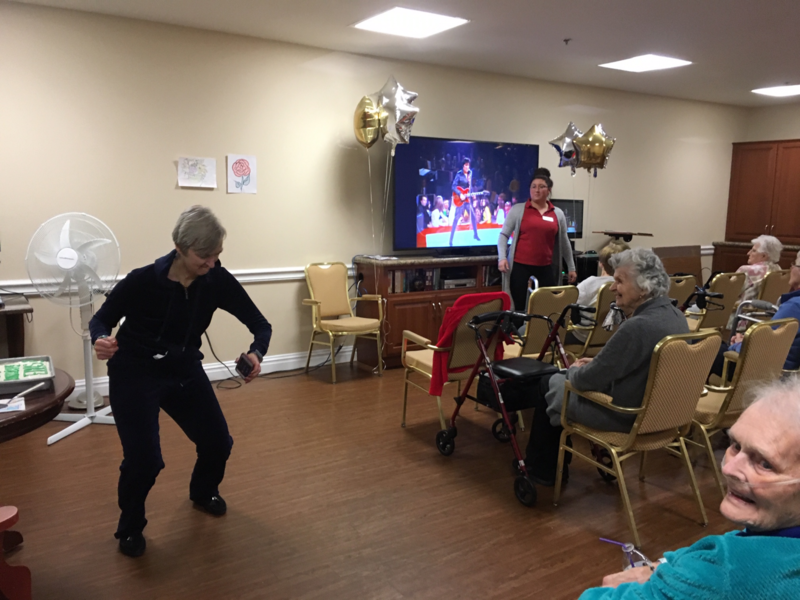 We coordinated a spontaneous celebration once we found out that it was the birthday of someone near and dear to our residents’ hearts… none other than the King himself—Elvis Presley! 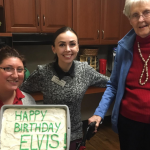 The Community Life team put together a surprise party to commemorate Elvis for what would have been his 84th birthday. 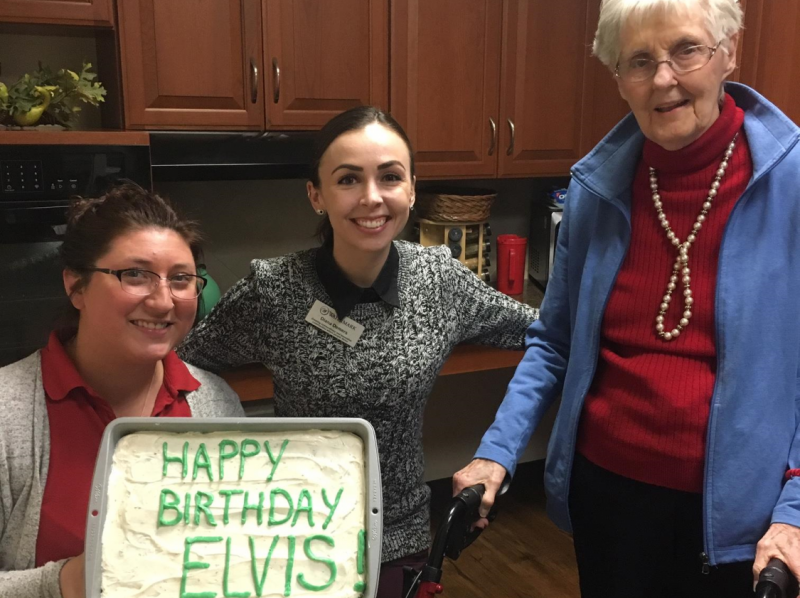 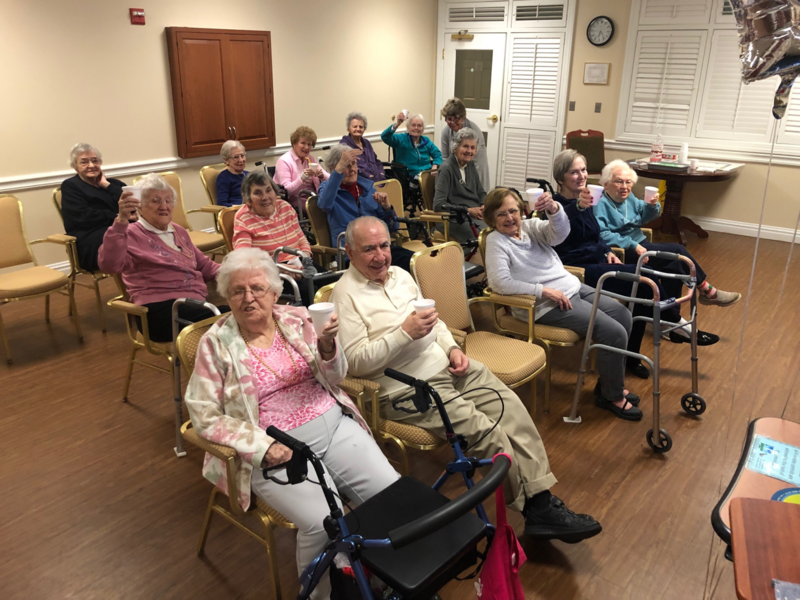 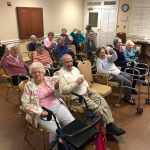 Residents assisted in making a delicious brownie cake and Diana Demers, Community Life Director, frosted it with a special birthday sentiment. 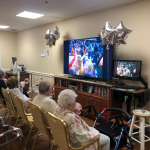 The room was filled with balloons as the residents watched a sequence of live performances by Elvis throughout the years. 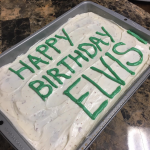 We sang along, danced, and even sang “Happy Birthday” to Elvis as we toasted to his legacy and thanked him for our favorite songs and all the precious memories that go along with them. 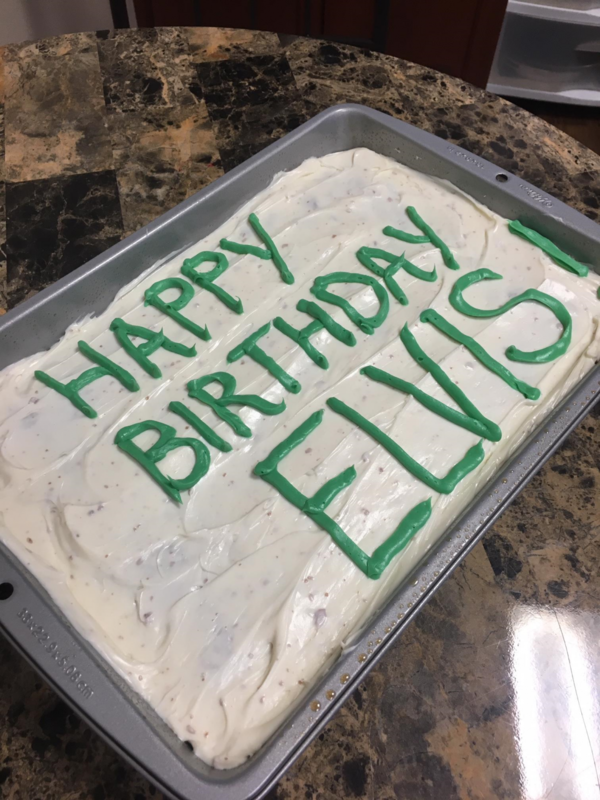 We think that Elvis would have really enjoyed the party we had in his honor… As Elvis once said, “do something worth remembering,” and this celebration was one we surely won’t forget!